Young Farmers will be represented by radio and TV presenter Charlotte Smith when she takes on the role of President of The National Federation of Young Farmers’ Clubs (NFYFC) in April. 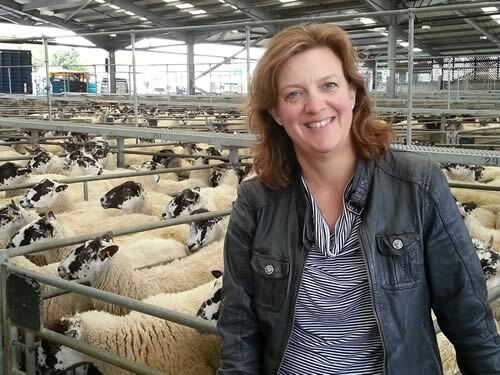 Charlotte, a freelance journalist who presents BBC Radio 4’s Farming Today programme and is also a regular presenter on BBC1’s Countryfile, has been confirmed as the Federation’s President Elect. She will be officially elected as President at the Federation’s Annual General Meeting on 23 April in Torquay at the International Riviera Centre, during NFYFC’s Annual Convention weekend. Charlotte was born and brought up in the Leicestershire village of Quorn and is keen to raise awareness of the issues surrounding rural isolation and the impact this can have on young people. After working in local radio, regional TV and as a news journalist for BBC TV and radio, a conversation in a lift led her into rural affairs. “NFYFC is an organisation I have always been really impressed with – especially as it teaches young people how to talk! Pretty much the youth service in rural Britain is YFCs. It is the local youth club for lots of people and it’s really important – especially for combating isolation issues. Charlotte is married with two children, aged 10 and 12 and lives in London but regularly escapes to the countryside with her work commitments. “We are so excited that Charlotte Smith has agreed to be our next President. Many of us are avid listeners to Farming Today and so are already familiar with Charlotte’s fabulous work reporting on agriculture and rural issues. Poul Christensen has served as President of NFYFC for the past four years and will hand over his role to Charlotte Smith at the Annual General Meeting in Torquay. Grazing Land: Licence or Tenancy?